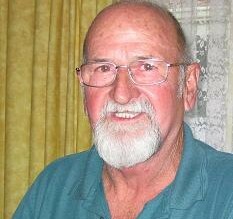 Rod Powell, an electrician and home inventor, spent a year of his life working at Wittenoom when he was 20 years old. He went up there in 1960 having heard that it was a good place to make some quick money. He worked in the mine as well as the mill, and has many colourful stories to tell about both the mine and the lifestyle of the workers. Rod Powell started off working in the mill and here he describes the work of the baggers who were responsible for loading the asbestos up into hessian bags after it had been ground up in the milling process. Rod Powell started in the mill, but found the dusty conditions at the mill so unbearable that after six weeks he decided to transfer to the mine. However the work there was not only hard, but also carried its own considerable physical dangers. Here Rod Powell gives us a glimpse of the layout and lifestyle of Wittenoom. Wittenoom during Rod Powell’s time was a hard, tough place and fights were commonplace – even a date with a girl could land you in serious trouble. In 1961 Wittenoom suffered massive flooding from two nearby cyclones. Rod recounts the tale of having to haul two senior members of the community to safety from their sinking car - and the pros and cons of the deluge. Asbestos was everywhere in Wittenoom and the workers were exposed to it whether at work or at play.